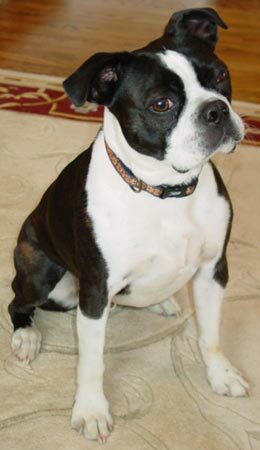 "I am a Boston Terrier, the company's mascot. I love to visit the office during the week to help with operations and management. I am the original security guard. Guarding the front door and playing ball in the field are my favorite past times. Now that I have two brothers and a sister in MY house--this office time is the only time I get spoiled these days. So I LOVE to go to the office - except for the days when I'm locked in the company dungeon or when my ball refuses to fall off the refrigerator no matter how many times I bark at it. I don't mean to brag - but EVERYONE KNOWS who's really running things here." Baxter sadly passed away in 2017. He will be missed very much, and his memory lives on in our hearts.